I recently released a new version of FreeFixer, and as usual after a new release I spend too much time looking at Google Analytics Real-Time stats to check out what my visitors are doing on the web site. Happy times, the users are talking about the new FreeFixer release on Twitter, I thought. So, how can the Twitter referral spam be stopped? There are a bunch of methods to remove Analytics referer spam such as this one. One way is to add the spammer’s IP address in the web server’s .htaccess file. 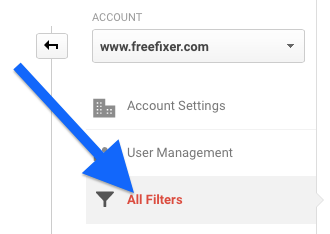 Click All Filters in the Account column to the left. Click the ADD FILTER button to create a new filter. This filter can be used for all your sites that you have hooked up on Analytics. 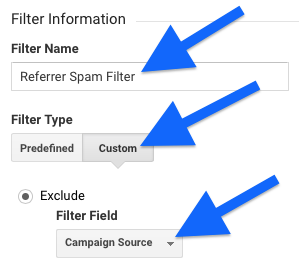 Give the filter a name, set Custom as the filter type and select Campaign Source. Now we need write a regular expression to block the unwanted referrers. In this example, I’ve blocked two sites, twitter.com and motherboard.vice.com. As you can see, each site is separated by the | character. Add the filter to the view where you are experiencing the referrer spam problem, and click Save. And that’s it. The Twitter.com referrer spam should now disappear from the Google Analytics Real-Time stats, and all the other statistics pages that can be shown. In my case, I had to wait for a few minutes in order for the filter to take effect. 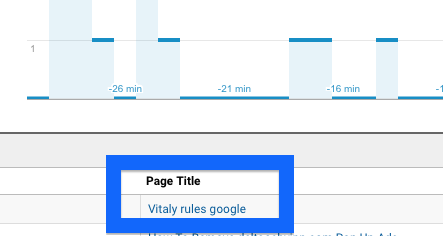 Did this help you remove the “Vitaly Rules Google” Twitter referral spam? Did the spam you were getting also originate from Russia?